You've spent weeks, even months customizing your Salesforce Organization, preparing for initial roll-out. You can see the light at the end of the tunnel. The sooner you roll-out to your users the better. Don't worry if it's not perfect, Salesforce implementation is a Journey not a Destination. There will always be more things that need to be adjusted, changed, tweaked, updated, etc. The important thing is that you get your Salesforce Org. to a steady state with usable, well working functionality so your team can start to leverage the platform; both getting data out and putting data in. Once you do your roll-out you want to make sure it sticks. There are a number of things you can do to improve the chances of a successful roll-out even before it makes it into the hands of your users. However, today we're going to focus on things you can do post-development to improve user Adoption. After users download the app they will begin to receive emails based on their usage of the app. Their usage will trigger suggested actions to help them to learn to use the tool more effectively. Right now Adoption manager is limited to Salesforce 1, but it is planned for expansion to all Salesforce Products. You also need to measure user adoption. People don't respect what you don't inspect. Right out of the box Salesforce has a User Adoption Dashboard for you to track your Organization's usage. This is a great place to start. Make it known that you are measuring their usage. Better yet make the dashboard available for everyone to see. Sometimes motivation from your peers is more powerful than from your boss. And if everyone can see whether or not you're logging in and using the tool, you might be more motivated to do so. The out of the box Dashboard that Salesforce provides is a good starting point, but don't stop there. The first two items are easy. They are functionality Salesforce provides to improve adoption, and require very little effort on your part. Truth is, user adoption won't just magically happen after you give folks access. You have to guide them. 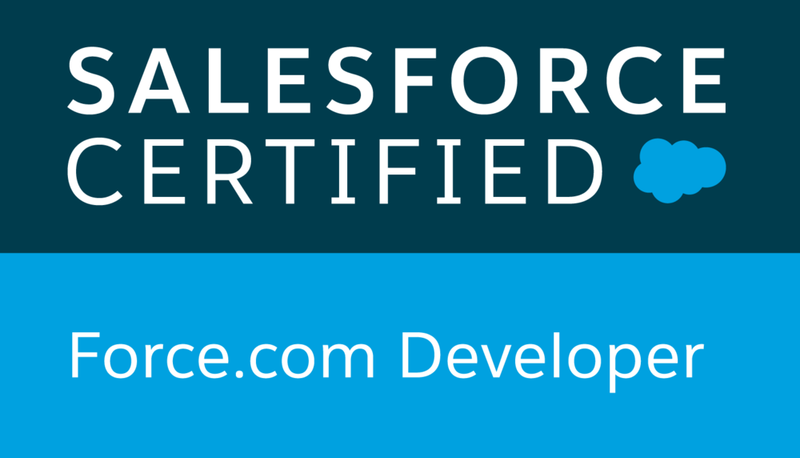 Inform them how Salesforce should be used for your Business. Providing ongoing support is a huge plus. Something as simple as video recordings they can watch when they need a refresher on how to do something in Salesforce. Having videos might actually make it easier, because it's less resource intensive on you over time, and people don't have to be afraid of looking dumb by asking how to do something for the third time. Make data entry into Salesforce mandatory. Inform your users you won't look at anything unless it's in Salesforce. Ignore their emails. Tell them if they want to discuss something to do it in Chatter. You can incentivize usage. Don't simply reward them for logging in. That's too easy. Make it something meaningful. For your outside sales reps, inform them that commission will only be based on opportunities entered and tracked in Salesforce. Or create a Sales Leader Board viewable to everyone. Competition is a great driver of adoption. For your inside sales reps you can start by simply rewarding them for entering in leads. But don't stop there. Make it known that quality matters too. Evolve your incentives. Start rewarding them based upon the conversion rate from leads to opportunities. Be careful that what ever you incentivize isn't easily gamed. You want to reinforce good behavior not bad. Don't forget to modify your Adoption Dashboard to adjust for these incentives. And most importantly, and simply, lead by example. If you're not using Salesforce, you're sending a clear message that it's not that important.